Dr. Mike grew up in Wahiawa Hawaii before moving to the island of Kauai. He has worked in the veterinary industry for the last 50 years starting as early as 14 years of age. 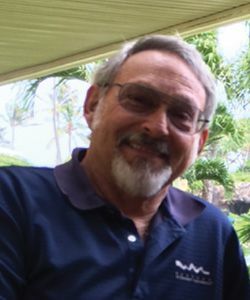 He co-founded Kauai Veterinary Clinic in 1978 after graduating from Washington State University Veterinary Program. Dr. Mike has a wide range of experiences, including working with large animals and consulting with Asian development banks in the west Pacific. Dr. Mike’s current interests lie in Stem Cell and regenerative medicine, and Orthopedics. Dr. Pulawa graduated from The Ohio State University for Veterinary medicine. Dr. Pulawa has been practicing at Kauai Veterinary Clinic since 1994. Her and her husband, Tom have two sons, Kaiwa and Alakai, two Great Danes “Major” and “Tinselle”, two cats “Jane” and “Poi-dee-cat”, as well as several Birds, Chickens, Goats, and a Sheep on her farm. Her hobbies include going to the beach, and cooking. 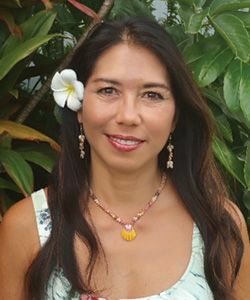 Dr. Bethany grew up in Hilo, Hawaii on an orchid/anthurium farm where she completed her Animal Science major at UH Hilo. She then completed her Doctorate of Veterinary Medicine (DVM) from the joint program of Utah State University and Washington State University being part of the inaugural class. She has one dog "LINQ" and two cats "Java and GUI" that were adopted while in veterinary school. Dr. Bethany loves to go biking, hiking, eating and relaxing at the beach. Kai-Nani was born and raised on the island of Kauai. 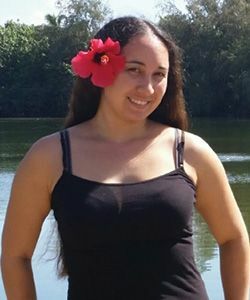 She graduated from Kapa’a High School and has been employed at Kauai Veterinary Clinic since 2005. She became office manager in 2010 when the previous manager, Kathy German retired. Kai-Nani’s hobbies include going to the beach and spending time with family and friends, swimming, and fishing. May was born and raised on the island of Kauai. 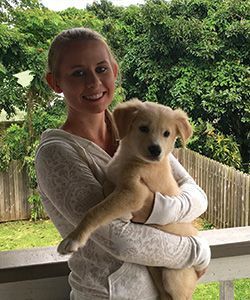 She graduated from Kauai High School and has been employed at Kauai Veterinary Clinic since 2006 as a receptionist. Since then she has also cross trained as a technician. 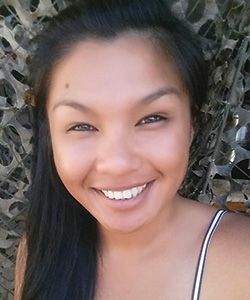 She has three, four-legged babies, “Le’a”, “Lopaka”, and “Pua”, who can be found in the front office of the clinic on most days that she is working. She also has a bird, “Anela” at home. 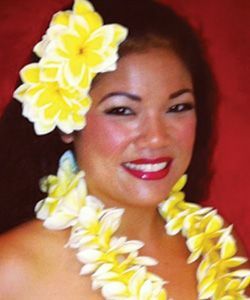 When she is not working at the clinic, May can be found working as a luau entertainer. Raychelle is born and raised on the island of Kauai. 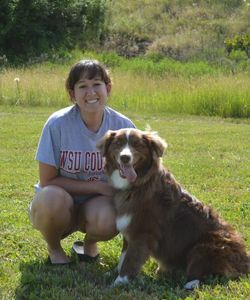 She graduated from Kauai High School and has been employed at Kauai Veterinary Clinic since 2010 as a technician. Raychelle has one son Jayvyn, and one four legged son “Trunks”. Her hobbies include fishing, singing, and watching commercials.